Five must-see Chinese movies coming to UK blu-ray and DVD in 2018. With so many great Far Eastern films being released right now, it’s a great time to be a fan. Showing rich cultural diversity, while crossing genres and still challenging expectations, many of these films have generated impressive box office returns and loyal fandom with global audiences. As part of this exciting output, China is well regarded within the creative filmmaking community, and rightly so. Through many critical and commercial hits over the years, they have shown strength both locally and internationally, with a growing list of stars and filmmakers also crossing over to international fame. Breaking box office records and making global headlines, Wu Jing’s action epic matched the scope and scale of Hollywood’s biggest blockbusters and pitted his heroic ‘Wolf Warrior’ soldier against a group of mercenaries led by villain Frank Grillo (Captain America; The Purge: Anarchy). With action choreography from the world-famous 87Eleven Action Design (the team behind many MCU movies, plus John Wick and Atomic Blonde), the film stunned audiences by blending Chinese martial arts cinema (arguably unbeaten anywhere in the world) with Hollywood style production values. The film is out now on Blu-ray and DVD. Combining live action and animation, this highly inventive fantasy-comedy-adventure was a huge commercial hit. Director and animator Raman Hui (Shrek the Third) said: “the message in the film is to understand and accept differences, to see the world through others' perspective and to foster more understanding between people.” While the film was released domestically in 2015, it had a long-awaited UK home release in early 2018 and a sequel is out too. The film is now on Blu-ray and DVD. Following hot on the heels of titles like Wolf Warrior II, Operation Mekong and Operation Red Sea comes the all-new Special Mission. This old-school inspired action movie stars underrated talent Fan Siu Wong (Ip Man 1 and 2; The Story of Ricky) in a dangerous mission to rescue a royal princess. With the Chinese military trend so strong at this point, the appetite for the genre shows no sign of slowing down. The film was released in Chinese cinemas in April, and arrives elsewhere in the world later this year. Martial arts movie legend Tsui Hark (Once Upon a Time in China; The Swordmaster) returns for a third outing in his multi-award winning saga. 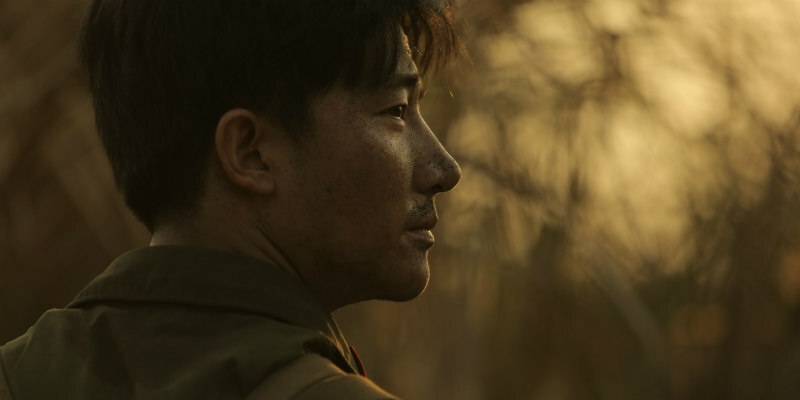 Blending historical-adventure, action and mystery, the first film starred Hong Kong icon Andy Lau (Infernal Affairs; Shock Wave Tunnel), while the second chapter (a prequel) starred young Taiwanese-Canadian actor Mark Chao, who returns for this highly anticipated sequel. Undoubtedly worth the wait, it’s in Chinese cinemas soon and will be released internationally later in the year. Picking up multiple awards following its theatrical release, including Best Film at the recent Asian Film Awards, the new sweeping epic from visionary filmmaker Feng Xiaogang (The Banquet; Assembly) is an absolute must-see. In this story, after Xiaoping joins the military, delicate dreams are dashed by China undergoing a revolution and the events of the devastating Sino-Vietnamese War, forever changing the lives of all the young recruits. Released in the UK on home formats for the first time anywhere in the world, Youth is one of the most thought provoking and important films you’ll see this year.